Fantastic Sylvie PB is always cute gorgeous papers. 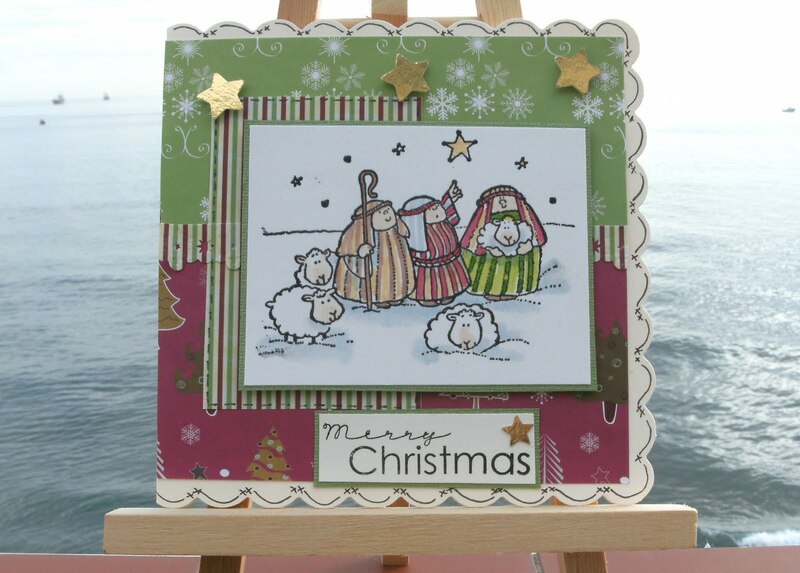 Thought of you today as the weather here is awful..enjoy your visit..
Gorgeous card Sylvie, your papers are so sweet with that image. 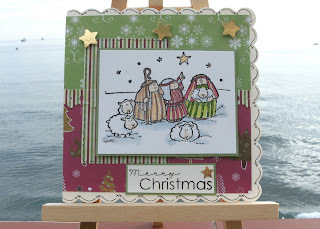 I love the background to your card too!! That is the best Christmas card that I saw today Sylvie. I love the design and color of that card. Anyways thanks for the inspiration, love your blog so much.